I recently picked up a very nice early Astro without Micarta handle scales at the blade show in June. 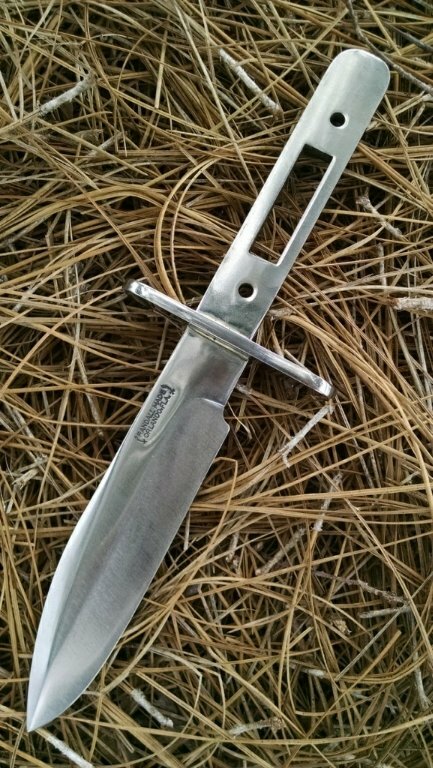 In the Sixteenth printing catalog of 1963, it lists this knife without scales, offered to the public officially for the first time, with micarta scales an option. Then in the 1965 Seventeenth printing the micarta handle is standard. This particular Astro that I acquired at blade came out of Rhett Stidhams collection. I have found no other pics of this 1st Astro offering without scales anywhere online. Does anyone here own one? I would love to see pics. Note my astro doesn't have the hole drilled for a thong, so it was made and intended as a replica as described in the Sixteenth printing. Yet the photo of the Astro in the sixteenth printing seems to have a drilled hole in the tang for the thong. Last edited by samg; 03-18-2018 at 07:53 PM. 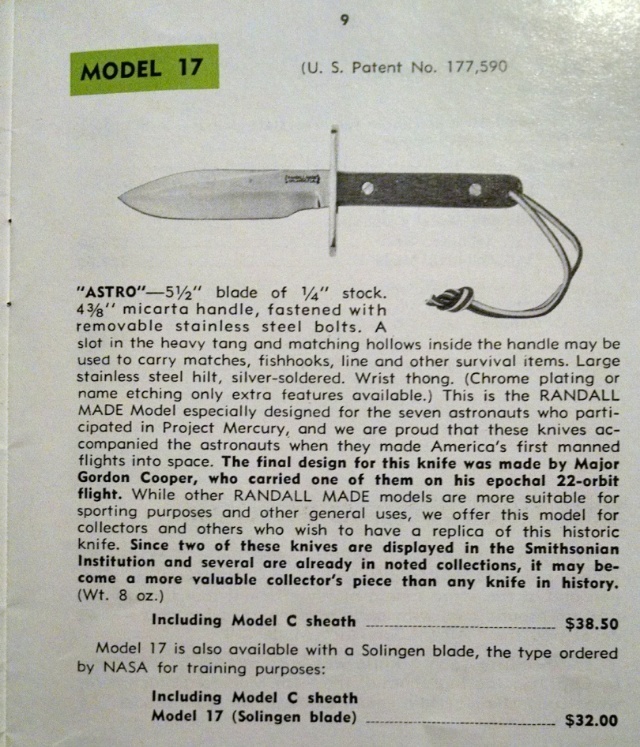 When the Astro was first introduced in the Randall Catalog in 1963, it was offered in both 01 carbon steel, and in Solingen. 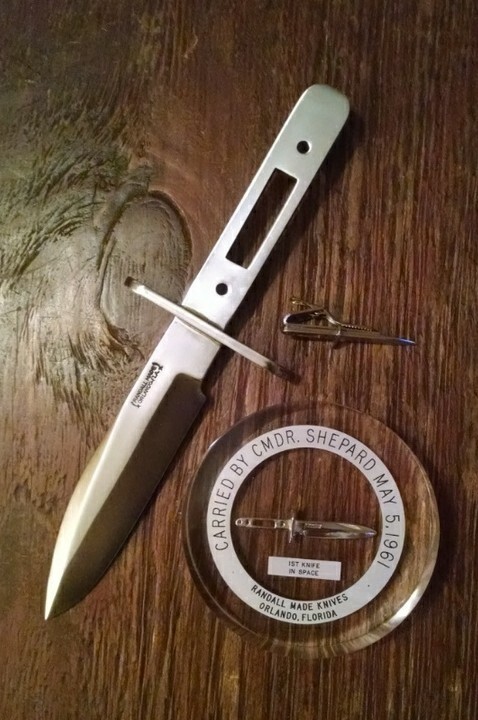 Has anyone ever seen an Astro Solingen that wasn't amongst the original NASA original order? 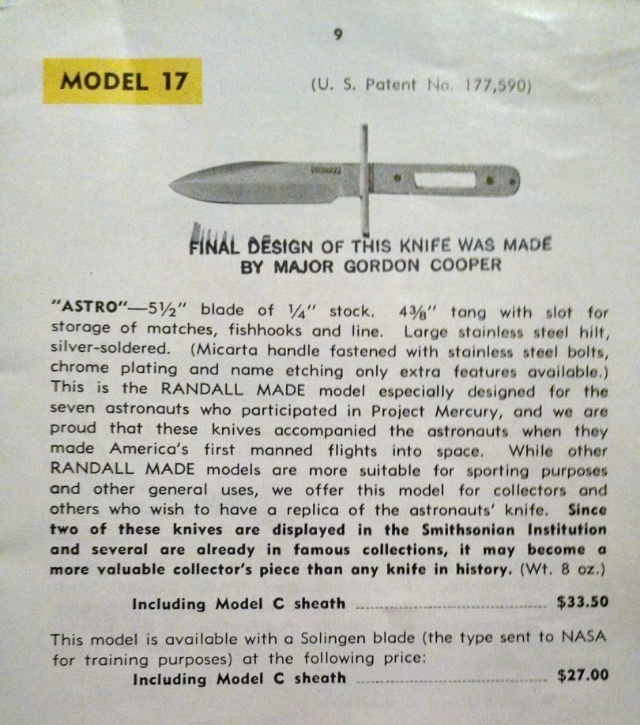 My thought is that since it was marketed as a Replica, and the astronaut knives were of Swedish carbon 01 tool steel, and just a few dollars more, most were probably inclined to go with the 01. You would still expect to find a few Solingens out there though. Still no examples of Astros without scales. I know there have to be examples out there. The search continues. Last edited by samg; 03-02-2018 at 07:51 PM. You'll be pleased to know that I have one! Below are photos of my only Astro which I picked up on eBay very early in my RMK collecting years, circa 2003. ACK!!! It's a tiny replica in sterling silver! 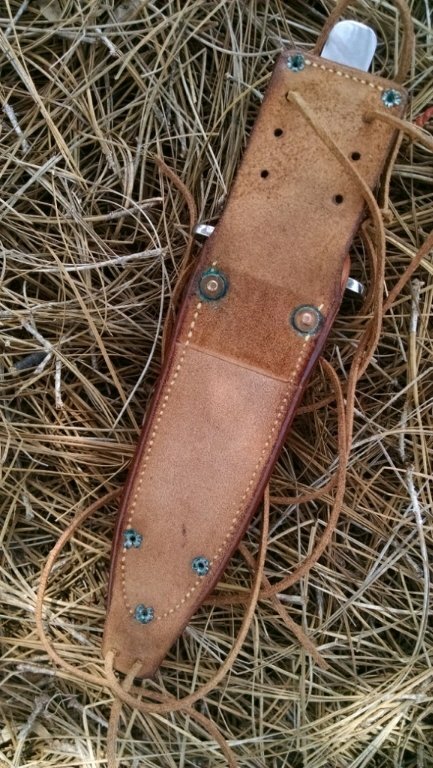 On top of it all, I sent photos of this "knife" to Gary Randall to verify its authenticity, and he informed me that it is a "fake", not authorized by RMK. The creator of this item remains unknown. Anyway, I hope you find a real one. You are one funny guy David. That's an awesome piece! At first, I thought it was one of the little cast ones done for Randall back in the 60's. Here is my little collection. Yes, that's an Astro tieclip laying on its side. This is a photo of a flyer that was circulated with the catalogs back in 1963. Last edited by samg; 03-18-2018 at 07:56 PM. It is sorta kinda strange that we haven't turned one up. I agree Ronnie. They may be buried in collections of people who don't interact in forums, or perhaps there weren't many ordered that way. 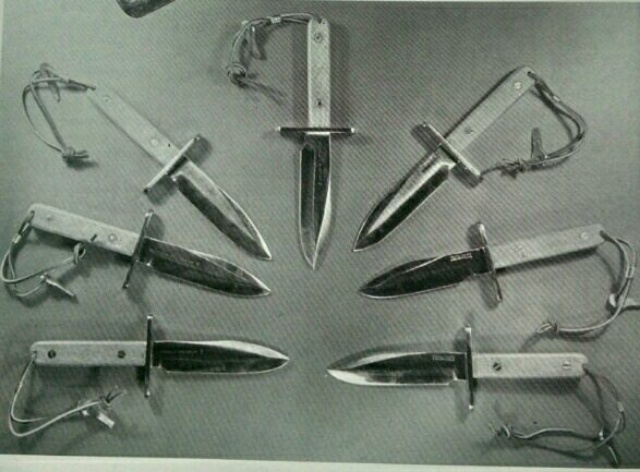 As we know the original astro knives were shipped with scales attached. I know that many of the scaleless Astros were sent to dealers as examples, but may have not been popular with the public. 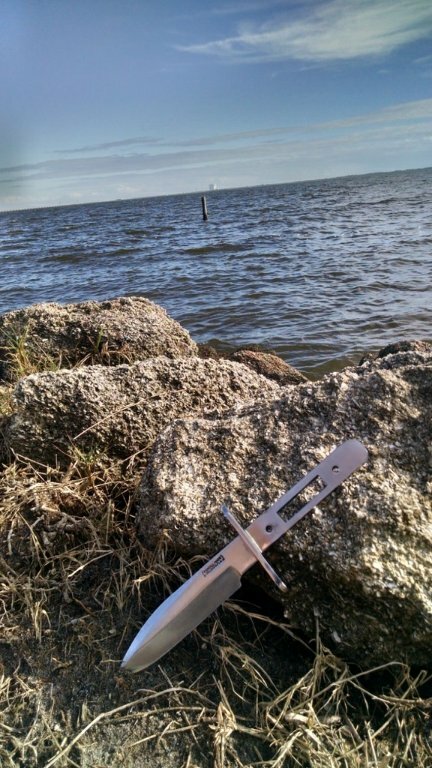 We know though that Alan Shepard took his knife without scales. Mine came out of Rhett Stidhams collection. I would love to know where he found it. Bummer. Last edited by samg; 07-06-2017 at 03:41 PM. Just got back from a trip to Jupiter Fl. A niece got married. Passed thru the cape area and stopped by a place we lived when I was a kid along the Indian river on A1A south of Titusville. I use to go down to the river and watch the Gemini and Apollo program launches. Had to bring the old Astro home. Look closely and you see the VAB (Vehicle Assembly Building) building in the background, across the river. Last edited by samg; 03-18-2018 at 07:59 PM. Just wanted to ressurect this thread in case anyone out there has a similar model 17 Astro without the lanyard hole. There has to be others out there. Or even an early Astro that was purchased without slabs. As to the lanyard hole, it could be as simple as whoever ordered it didn't want the lanyard hole. Or perhaps the earliest Astros offered to the public, because they were for display purposes, without slabs, they didn't drill the lanyard holes. On the day that I visited the shop, Gary Randall wasn't available to comment. I found it fascinating as I worked on the space shuttle program. I have been a fan of Gordo Cooper since I was a young teenager. The depiction of him by Randy Quaid in the movie The Right Stuff was from what I read pretty spot on. 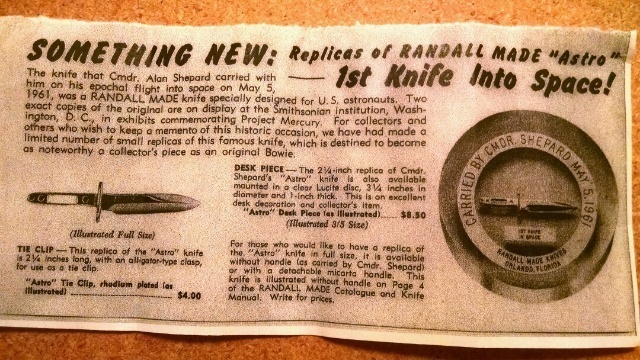 To see the knife made for his and his comrades contribution to the Mercury program was great. 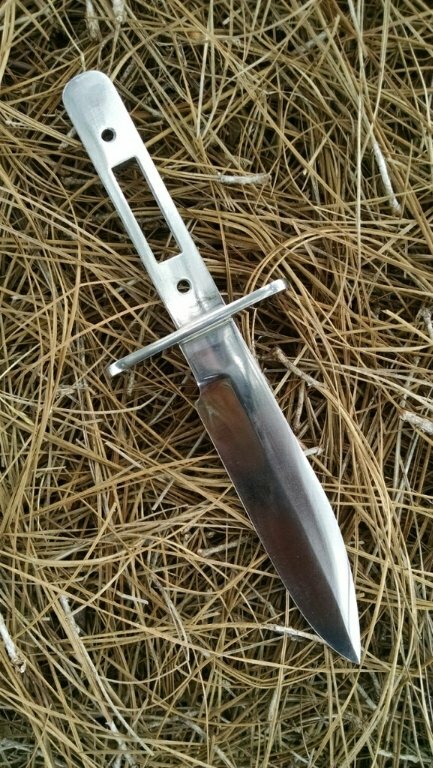 Not a Randall collector, but it's nice to know it was made from O1 my favorite steel. Growing up in Florida and witnessing the Gemini and Apollo space projects is why the Astro is probably my favorite. I like Cooper's story, all of them actually, but probably my favorite was Alan Shepard. The only one of the original 7 to walk on the moon. Last edited by samg; 03-18-2018 at 08:01 PM. I love that Astro Sam. Thanks Ronnie. It is just very odd that no other Astros without micarta handle or lanyard hole hasn't surfaced. 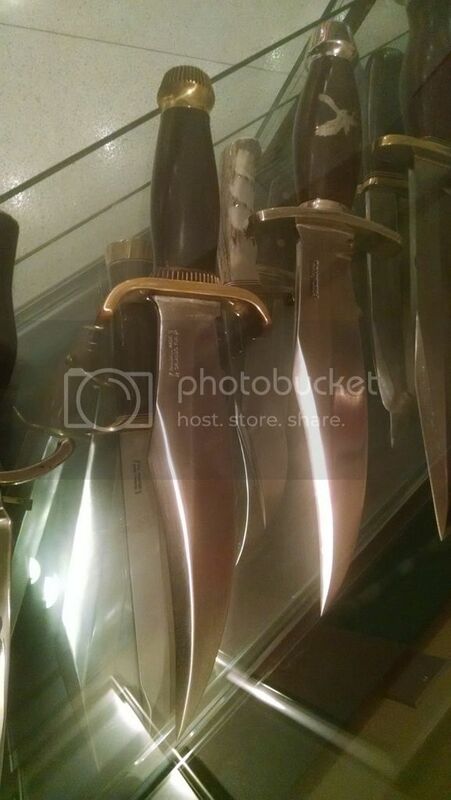 By the way, do you still own the Sun Valley Bowie? To me, It is the Grail knife for Bear Bowie lovers. No not me Sam....I just recently received my first Bowie. 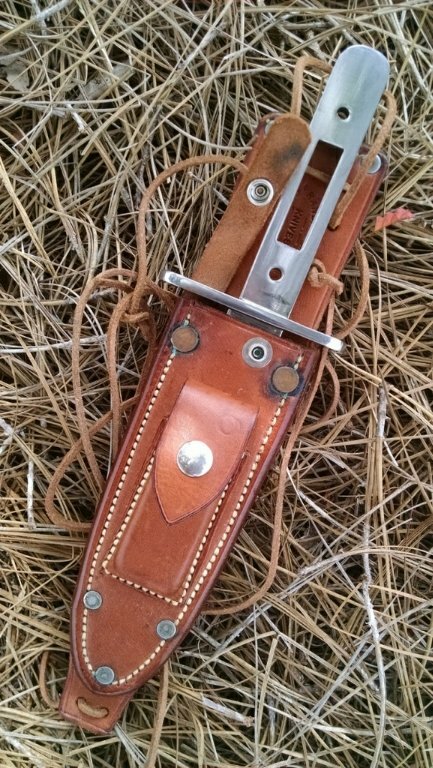 The other Sun Valley Bowie is owned by Rocky Whittaker (AKA "thevalueman"). I know this isn't what you are asking for Sam, but I wanted to add this to the Astro thread. This gem sold in 2011 for $7600.00!